In a recent meeting with a group of very creative people, someone made the comment, “Color is scary for some people.” That statement really threw me off guard. I don’t understand how color can be scary. It’s just an odd concept to me, since I feel that color is life itself. Color is associated with so many things in our day to day lives, like moods, the seasons, appetite, gender, light, sports, identity and so much more. In fact, there is even a color of the year chosen yearly and psychology of color too. So, how can color be something to be afraid of when it’s all around us? If you are afraid of color, it may because you don’t understand color and how colors work together. 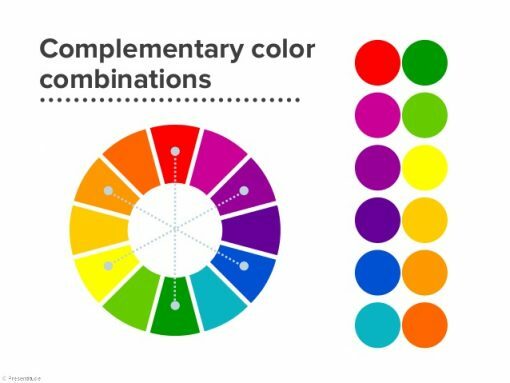 A good, simple, old school approach to becoming comfortable with using color is to use the color wheel. 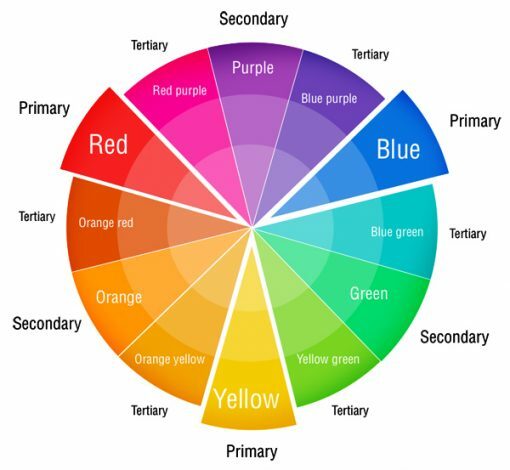 The color wheel is a circular chart for color reference. Every color can be made by using the primary colors, which are red, yellow, and blue, and adding the neutrals of black and white. When you mix yellow and blue you get green. Mix red and blue and you will get purple, and if you mix yellow and red, orange is the result. Orange, green and purple are called secondary colors because they are derived from the primary colors. Finally, there are tertiary colors, which are a third set of colors that are made using primary and secondary colors. For example, when you mix purple with blue the result is blue violet. If you mix purple with red, you’ll get magenta. The placement of the colors on the color wheel show you how colors will work together in your art. When you begin working with color, keep it simple by selecting no more than three colors to use in your art. This simplicity will help you develop an eye for color. Then once your eye is trained, you can ask yourself what your art needs. Color can make your world a happy place or a place of solace. It’s all around you and the non-verbal messages are sent daily into your world. Don’t be afraid of it – come and explore it in a class. 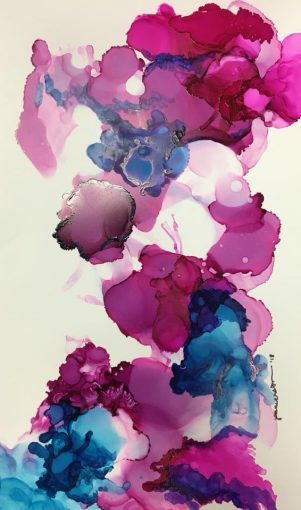 On April 10th and May 9th you can come paint with colorful alcohol inks.